World Land Trust (WLT) has funded the purchase of 123 acres (50 hectares) to extend the Río Zuñac Reserve in one of the most diverse and endangered cloud forests on Earth, and one in urgent need of protection. 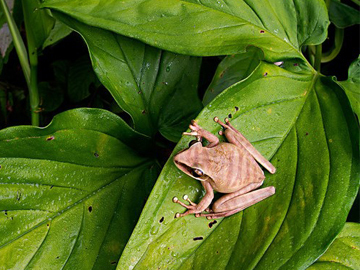 Managed by WLT’s partner organisation Fundación EcoMinga, the reserve lies in the foothills of the eastern Andes on the western edge of the Amazon Basin in Ecuador. At least 20 plant species are known to occur only in the Río Zuñac Basin, among them a number of orchids discovered by Lou Jost, botanist and co-founder of EcoMinga. Lou knows intimately the terrain and its biodiversity. 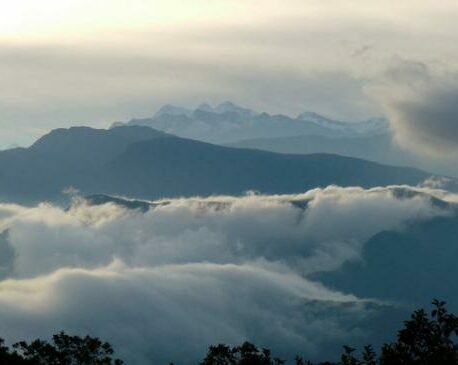 “These low granite mountains separate the Amazon basin from the main body of the Andes, and they get the full force of the Amazonian rains and winds. The extreme conditions have led to the evolution of highly specialised plants which survive nowhere else,” he explains. WLT has been working in partnership with Fundación EcoMinga since 2007 to purchase and protect threatened habitat in the transition zone between the Andes and the Amazon Basin, central Ecuador. EcoMinga has prioritised extending the Río Zuñac Reserve because the habitat is extraordinarily rich and any disturbance is likely to put that biodiversity at risk. “Now that the extension to the reserve is protected, a very fragile habitat will be safe and EcoMinga’s rangers and researchers will almost certainly discover more species new to science,” said Charlotte Beckham, WLT’s Conservation Programmes Co-ordinator. The three orchids above are from the Lepanthes genus and all were discovered in what is now EcoMinga’s Río Zuñac Reserve. Lepanthes zunagensis (pictured right) was discovered by Alex Hirtz long before EcoMinga existed. The other two were discovered by Lou, also some years before the founding of Ecominga in 2005. He discovered Lepanthes spruceana (pictured left) in 2002 and named it in honour of the great English botanist Richard Spruce (1817-1893). He discovered the other orchid, a new species in 2000 (pictured centre). Linné’s Two-toed Sloth (Choloepus didactylus) in the Río Zuñac Reserve. © Luis Recalde/Ecominga. Linné’s Two-toed Sloth (Choloepus didactylus) is one of the charismatic and elusive mammals living in the Río Zuñac Reserve. These solitary creatures spend much of their time hanging motionless in the canopy, unnoticed by those passing below. Their slow metabolism and languorous lifestyle mean they can survive on a low energy diet of leaves, flowers, and even the algae that grows on their fur. 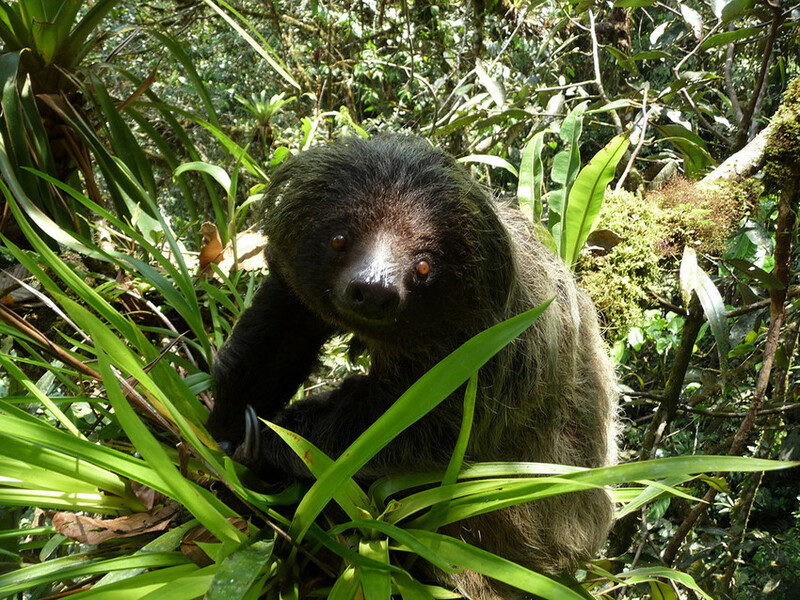 The Two-toed Sloth, pictured, was photographed by wildlife ranger Luis Recalde, whose employment on the reserve is funded by WLT corporate supporter Puro as part of WLT’s Keepers of the Wild programme. 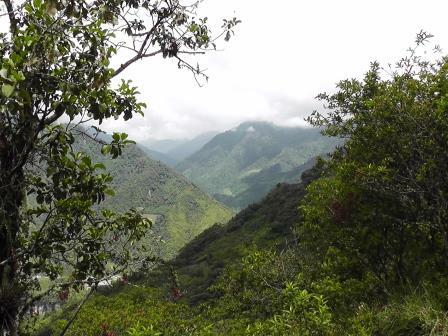 This extension to the Río Zuñac Reserve will add protection to the slopes of the Río Topo-Río Zuñac valley, eliminating the last unprotected inholding in the upper valley, and help provide a buffer for the Llanganates National Park on the mountain top above. Funding for the purchase came from WLT’s Buy an Acre appeal. WLT is supporting EcoMinga’s work in Ecuador through the Keepers of the Wild appeal. You can help by sponsoring rangers such as brothers Luis and Jesus Recalde, whose work protects these forests from illegal logging and hunting.